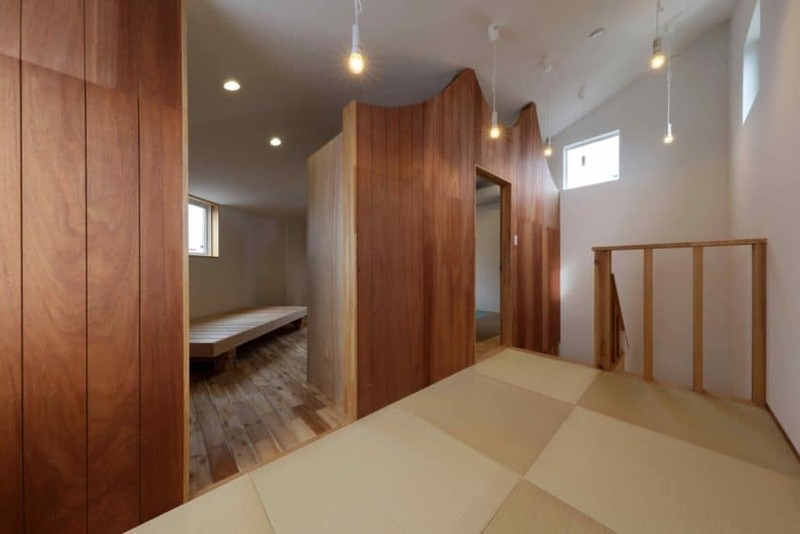 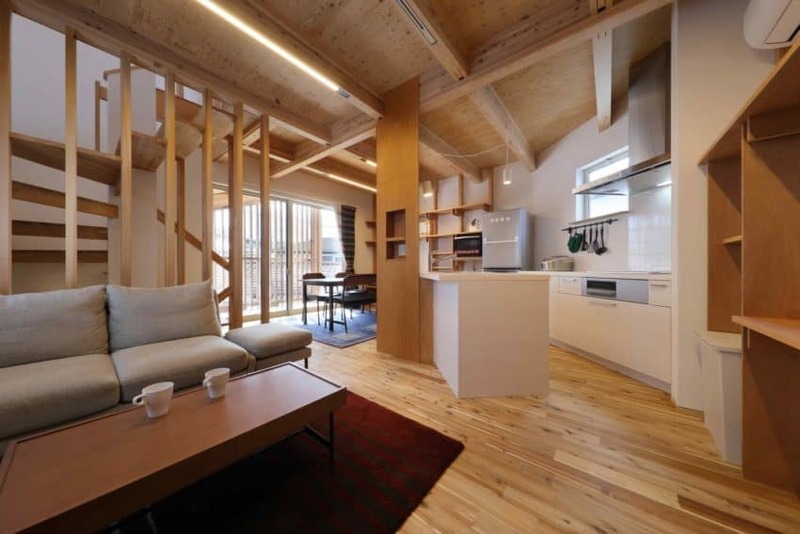 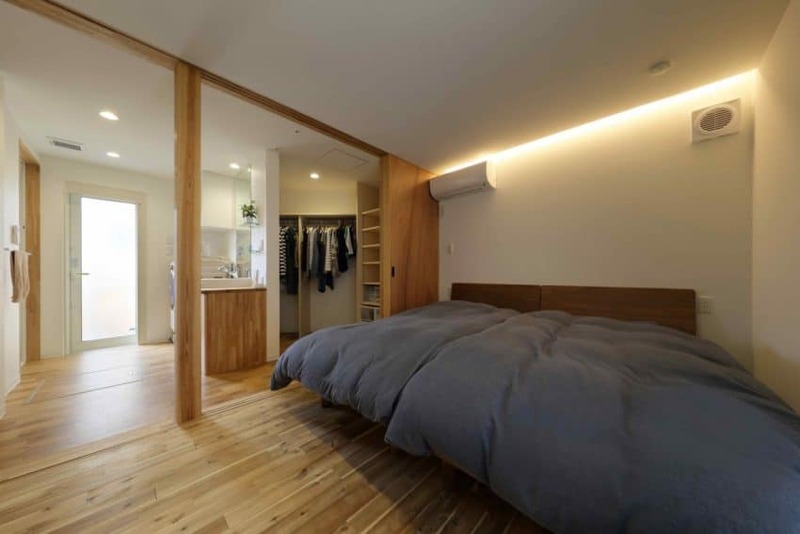 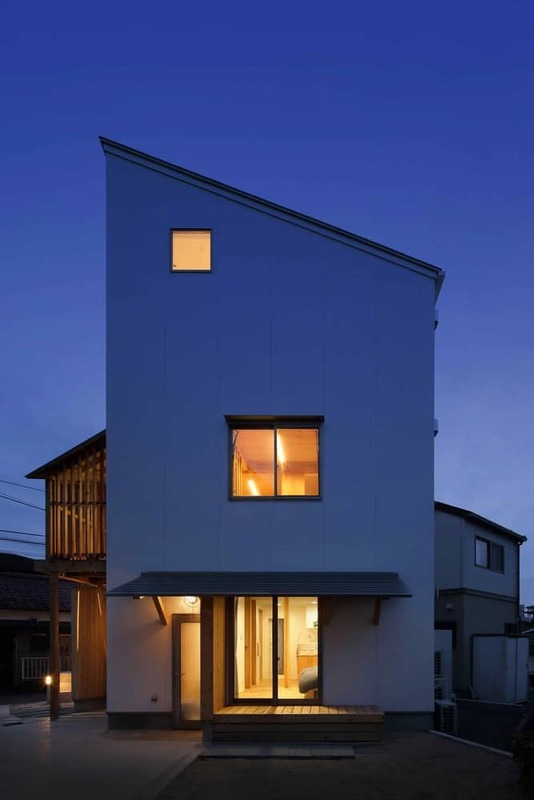 Hiroto Suzuki Architects and Associates have designed this private residence in Wakabayashi Ward, the eastern ward of the city Sendai, in Miyagi Prefecture, in Japan. 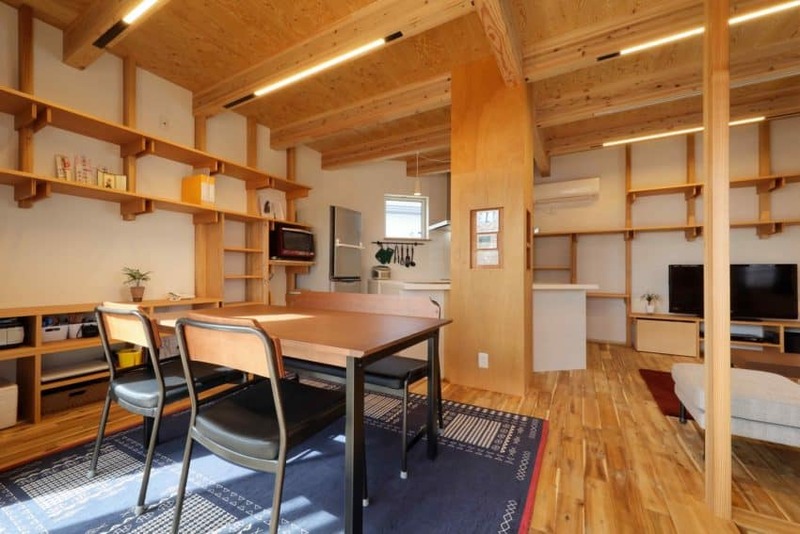 The home covers a ground area of just under 87 square meters, and was completed in 2017. 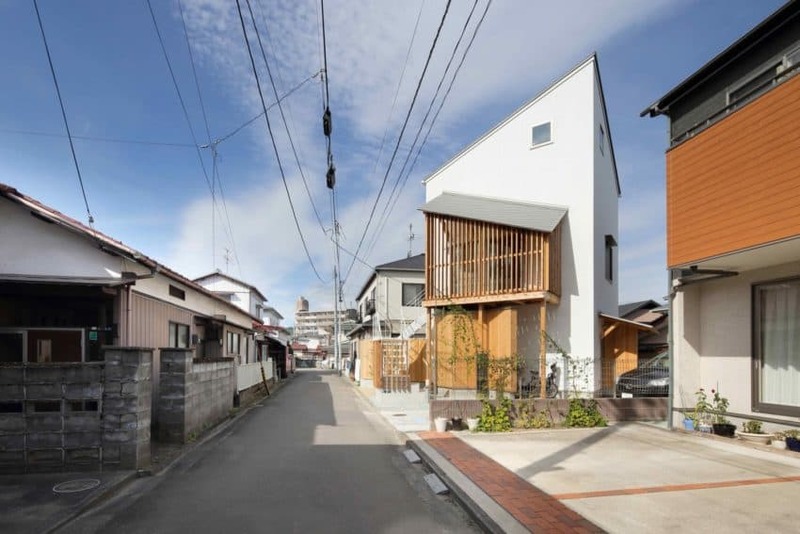 The property is surrounded by densely-built low rise homes, as it stands smack in the middle of a residential area in Wakabayashi Ward. 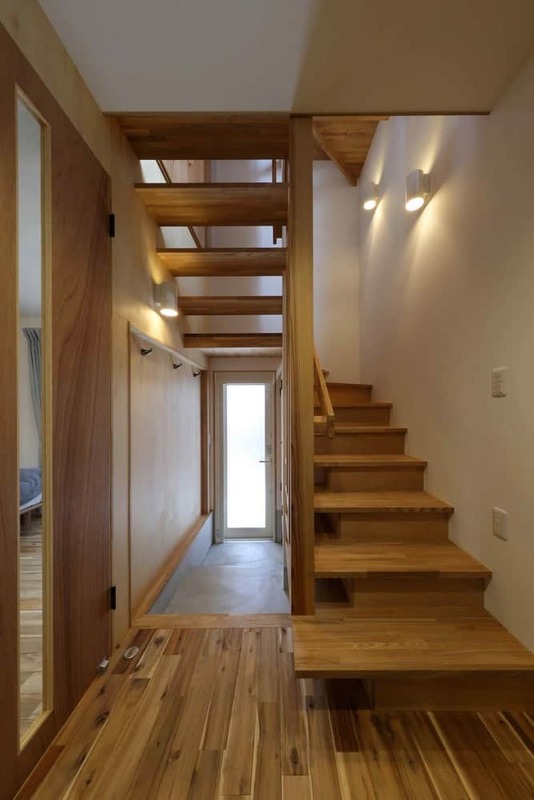 Old houses, relatively recently rebuilt, are scattered in the surrounding areas, creating a mixture of old and new properties in the environs of this private residence. 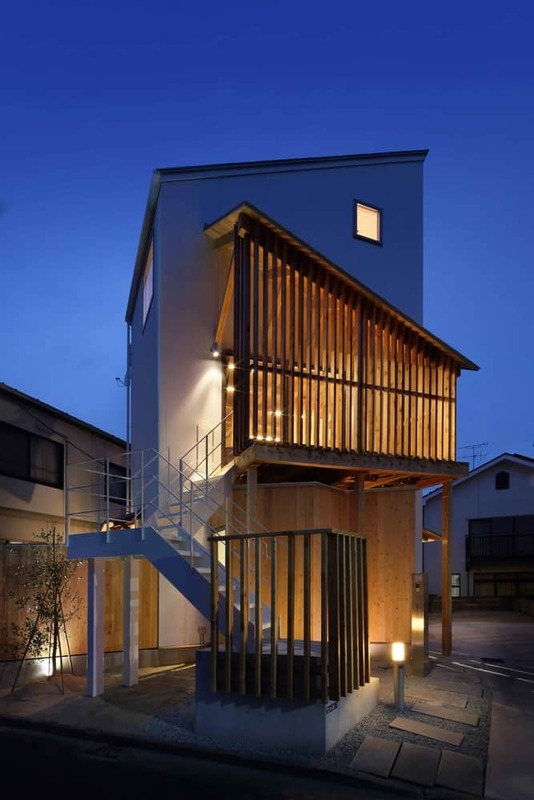 The old home was renovated for a young family consisting of a parent and a single child, and it represents a new addition into this community. 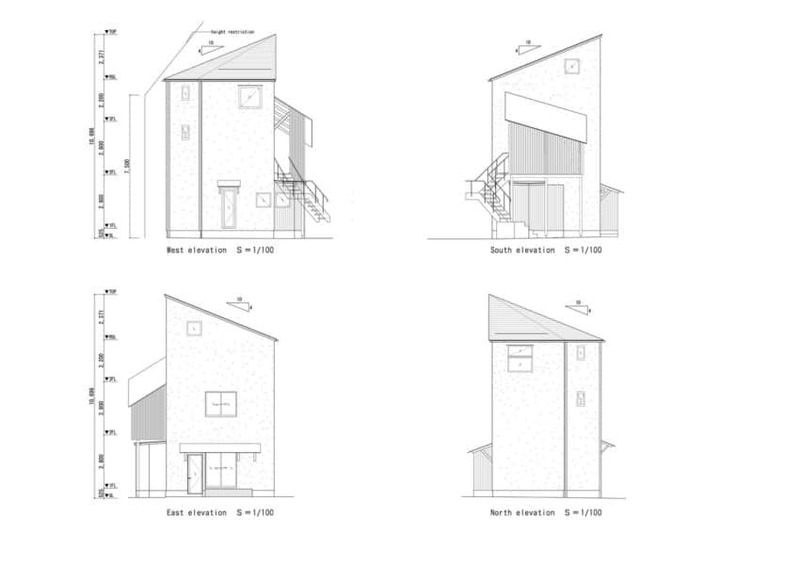 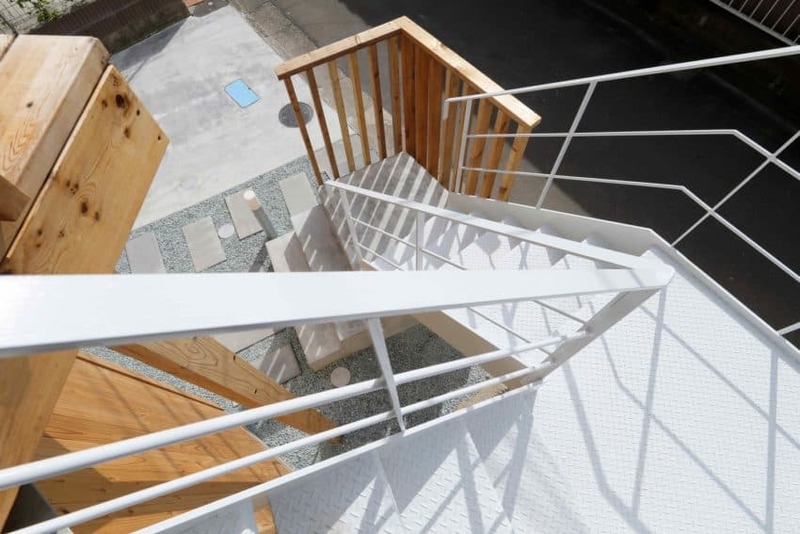 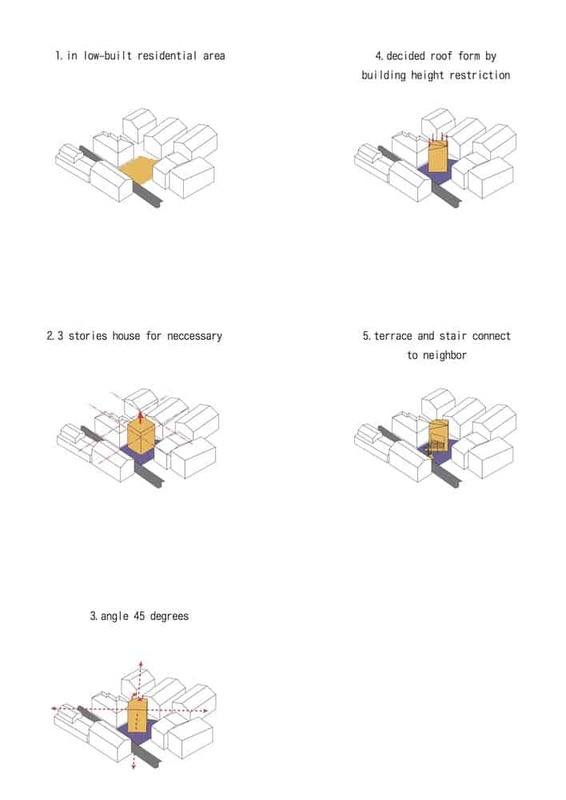 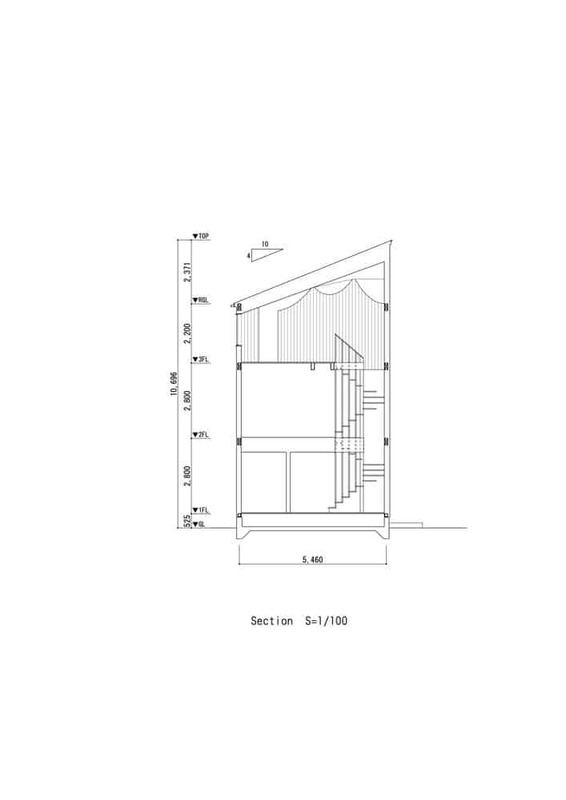 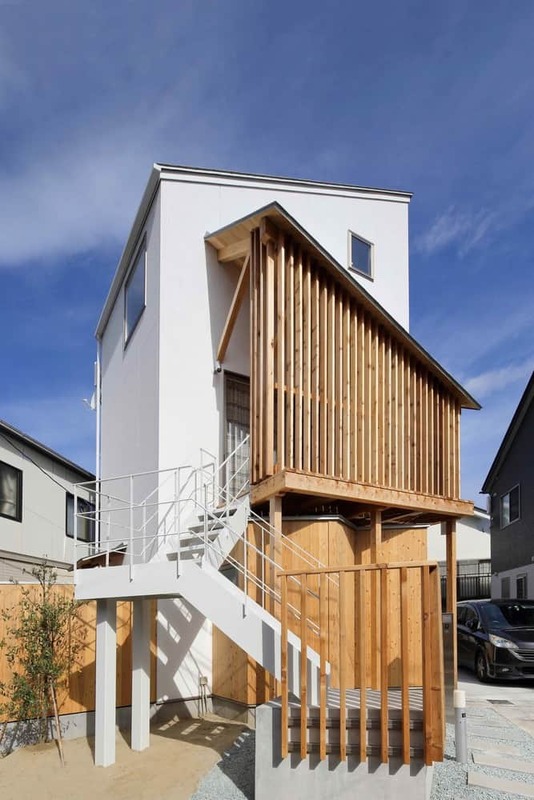 In order to successfully achieve this, Hiroto Suzuki Architects sought to create a connection between the private and public areas so that they could easily communicate with the outside world of the surrounding neighborhood. 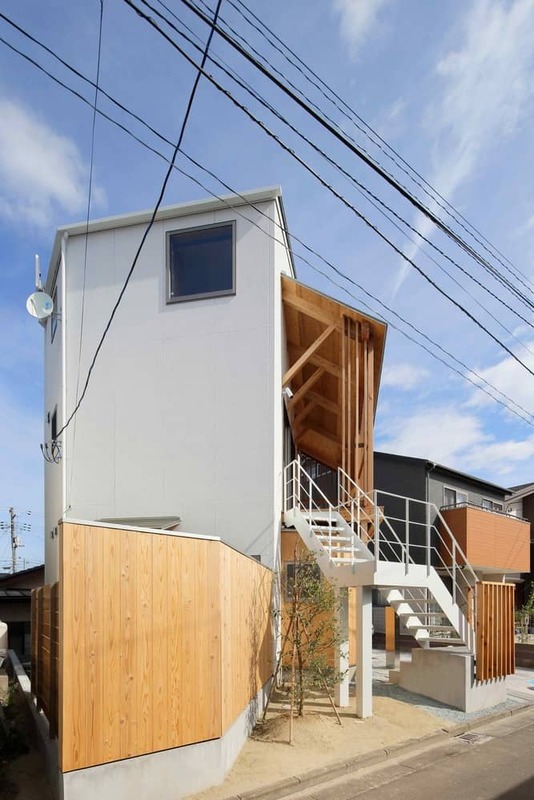 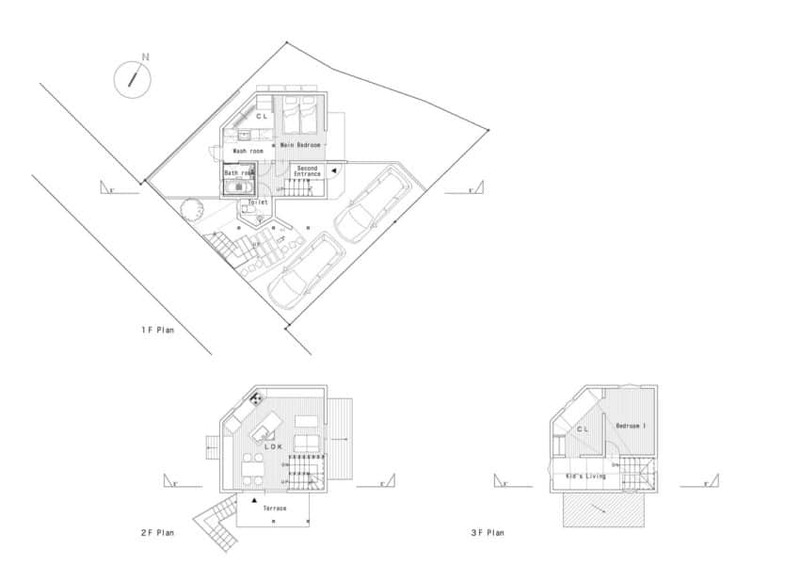 A three story building was planned, with a two car parking area and gardens. 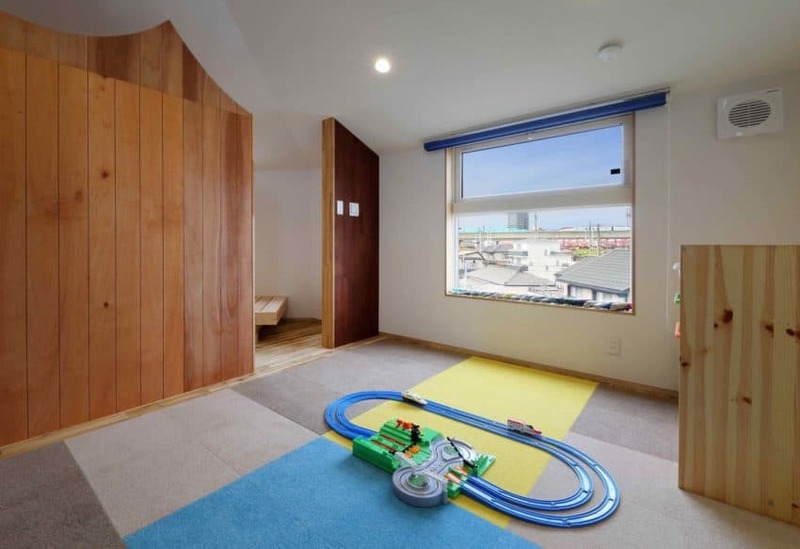 The living and dining rooms, as well as the kitchen, are located on the second floor, creating a common room that both the residents as well as the family guests could enjoy.